Welcome to the Bluffs! 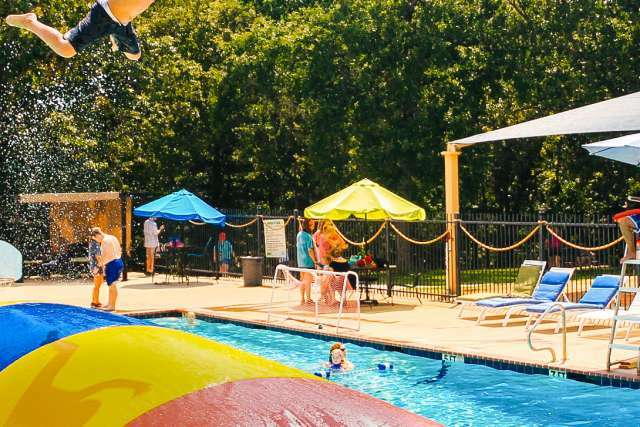 With spacious accommodations, excellent food, and a beautiful outdoor setting, the Bluffs Family Camp is an incredible experience that each family member will enjoy. Let us serve your family all week long so you can have the most relaxing vacation of your life! Energetic and passionate counselors will encourage, challenge, and inspire each member of your family. 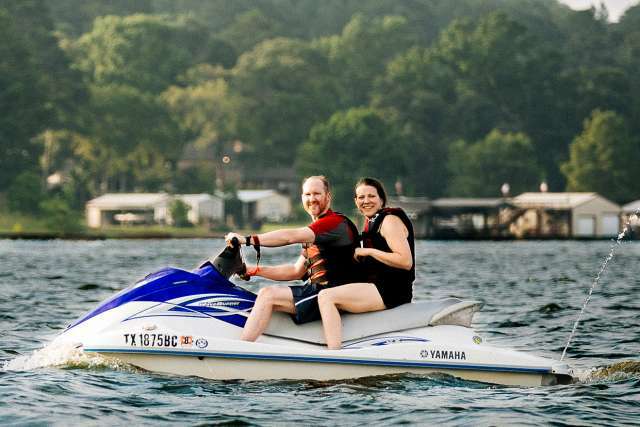 With breathtaking views of Lake Palestine and plenty of opportunities to grow closer to the Lord, you and your family will experience the most enriching and refreshing week of the year! Coleman “Busta Rhyme” Ross is a graduate of Oklahoma State University. He grew up as a camper and summer staffer at the Pine Cove Woods and Camp in the City, and joined the full-time Bluffs staff in 2015. In 2019, he transitioned to the role of Bluffs camp director. Coleman and his wife McKenzie have two sons, Harrison and Paxton. We’ll play with these tiny campers, let them nap, then play some more! Learn fun songs, enjoy cool activities, and get some extra play time! 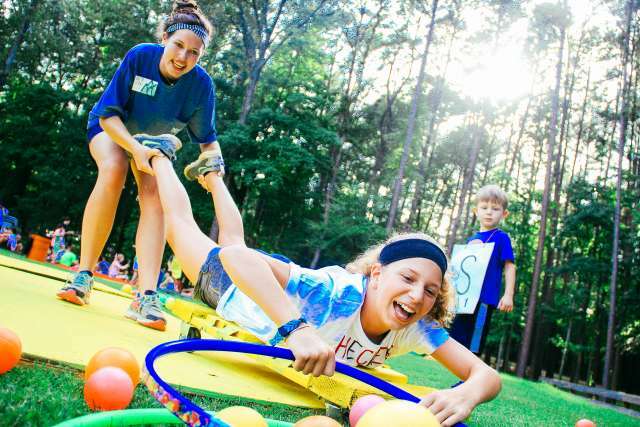 Have a blast with activities and counselors? It’s elementary! 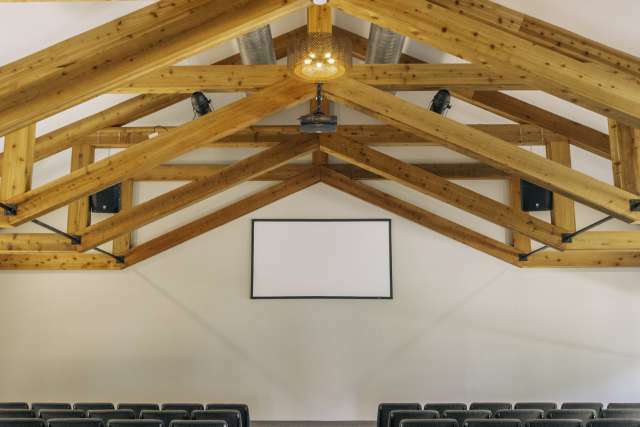 Teens will experience a ton of activities and high-energy club! In order to help strengthen your faith while having the most fun possible, it’s absolutely necessary that our speakers have tons of faith, have a passion for spreading His Word, and be tons of fun! Which is why we are absolutely thrilled with our line up. We can’t wait for you come to camp and get to know them. 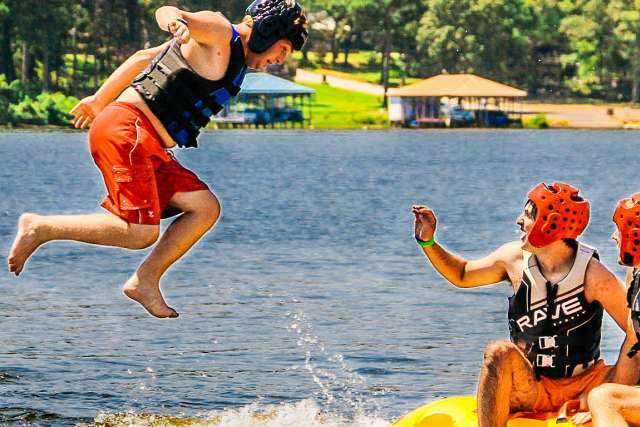 Hit the lake and have a blast with banana boats, water skiing, and more! Get some serious air as you and a friend go flying on this epic swing! Speed across the lake enjoying the wide open water at full throttle! Buckle in, jump off, and enjoy the view as you glide right over camp! Enjoy a breathtaking horseback ride that ends with a legendary breakfast. Take a break from the heat in our sparkling, activity-filled pool! Head out to a local course for a relaxing morning hitting the links. Fun AND responsible? Yes! They're just hilarious-er! Read our lips: you won’t have to cook. At all. 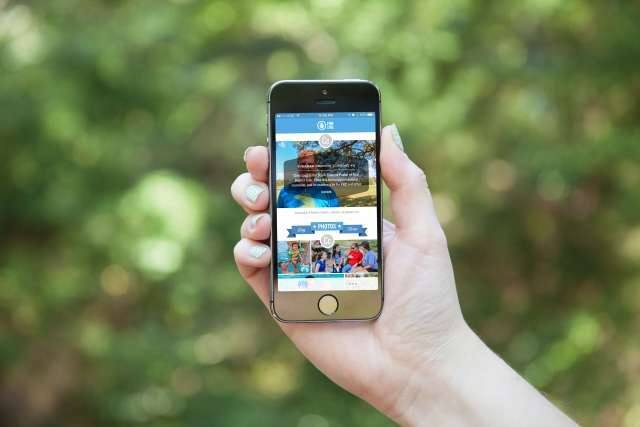 The CampLife App makes it easy to keep up with your entire family while at Pine Cove. We’ll be tagging the whole family in photos, and you can invite friends and family back home to follow along with your week of camp! We’ll also put the speaker audio right in the app, so going back and listening to your favorite sessions will be as easy as app‑le pie! Vacations should be relaxing and fun, and at the Bluffs, you’ll have the perfect opportunity for both! Your family will have time together to dive into enriching Bible studies, laugh together at meals, and experience high-adrenaline thrills at a variety of activities. 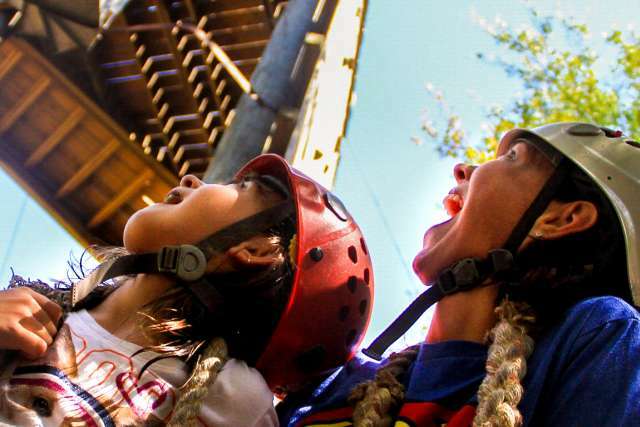 But there’s also time for Mom and Dad to get away for some adults-only activities like golf and leisurely trail rides while trained Pine Cove counselors make sure your kids are having a blast (or having a nap!). Get excited for the most restful and entertaining week of your summer! Looking for the perfect location for a family getaway in East Texas? With gorgeous views of beautiful Lake Palestine below, the Bluffs is in a perfect, convenient spot for families traveling from Dallas, Fort Worth, Shreveport, and beyond! Are early morning workouts your thing? We’ll watch the kids so you can get your sweat on. Are early morning workouts not your thing? Feel free to sleep in. 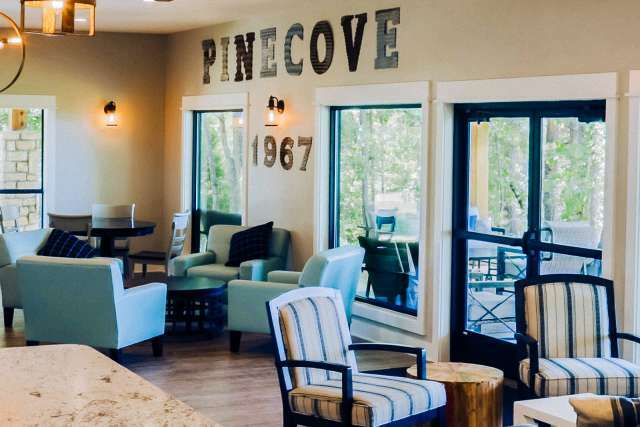 There’s also an adults-only breakfast trail ride option that’s a Pine Cove staple! Now it’s time for parents to go to a speaker session while the kids head to Bible study and some awesome activities with their counselors! Have some little ones who need nap time? We’ll take care of that too! Lunch! (Yes, we have a cheer for that.) Bring your appetite and get ready to play a crazy game or two! 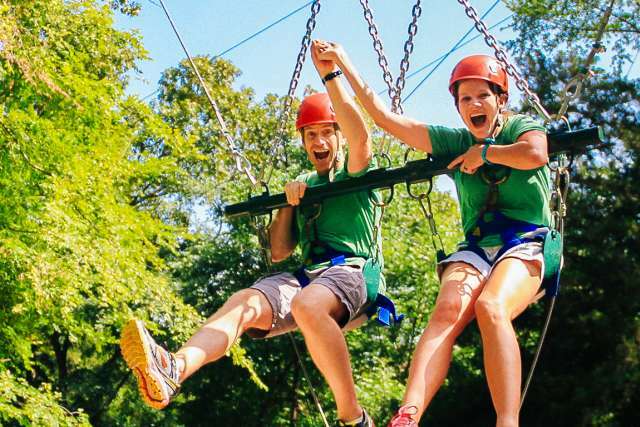 Kids can hang with their counselors for even more fun activities while parents get some grown-up only free time! Counselors will be available to watch kids four and under for nap time. Or, enjoy some time together as a family! Get ready for an all-out theme night full of good food and hilarious games! Or get all gussied up for a parents’ date night while the kids enjoy an evening with their counselors. Hang out in our cool coffee shop (parents only!) or grab a snack and play a game before bed! There will be evenings of family worship during the week (childcare for two and under available) as well as a special event for high schoolers and their parents!